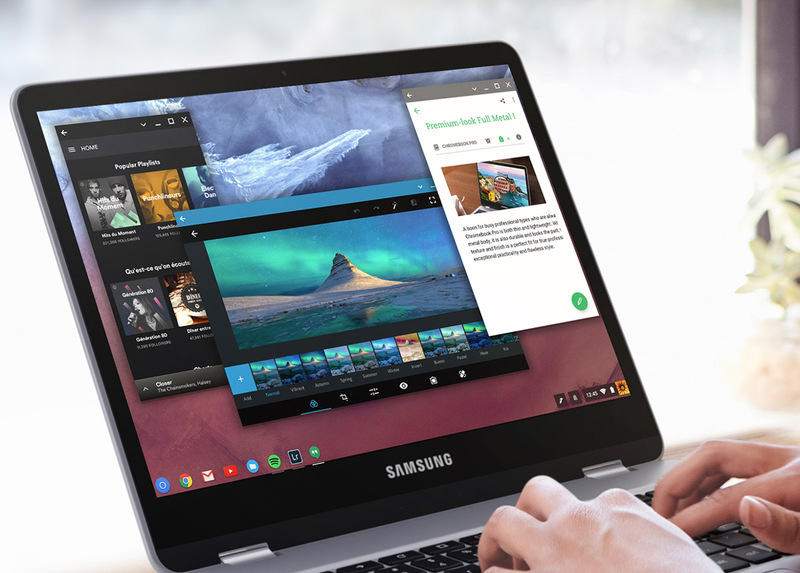 Back in early February, pre-orders went up for the Chromebook Plus, the first to launch from a pair of Samsung-made Chrome OS laptops with Android app compatibility. Both were announced during CES, but as you may have noticed, we’re still waiting on the Chromebook Pro to launch. During Google I/O this week, we have learned just when we can expect the Pro version to be available. According to Kan Liu, senior director of product management for Chrome OS, we can expect the Chromebook Pro on May 28. Speaking to The Verge, Liu mentioned that Android apps on the laptop will still be in beta, though, meaning they will not fully support window resizing, docking to the side of the screen, or split-view. All of that functionality is scheduled for later this year. As a refresh, the Chromebook Pro features a 12.3″ LED touchscreen display (2400×1600), 4GB LPDDR3 Memory, 32GB e.MMC hard drive, 39Wh battery (around 8 hours of life), 720p webcam, two USB Type-C ports, SD card support, and stylus. The only difference between the Pro and the Plus is the Intel Core M3 Processor 6Y30, while the Chromebook Plus uses an ARM OP1 processor designed specifically for Chromebook machines. Once the Chromebook Pro is finally available, we’ll let you know how to get one.